Hier geht es zum Ticket Shop! Achtung: Bitte beachten Sie, dass Sie bei Kauf eines mit Sternchen(*) gekennzeichneten Tickets bevorzugten Eintritt zu den angebotenen Sessions erhalten werden. Übrigens: Die Anreise (Zugtickets, Flüge), sowie Hotelzimmer können über unseren Partner Yogatravel.de zum Vorzugspreis gebucht werden. Hier kommen Sie zum Anfrageformular. Group discount: Buy five tickets and get one for free! 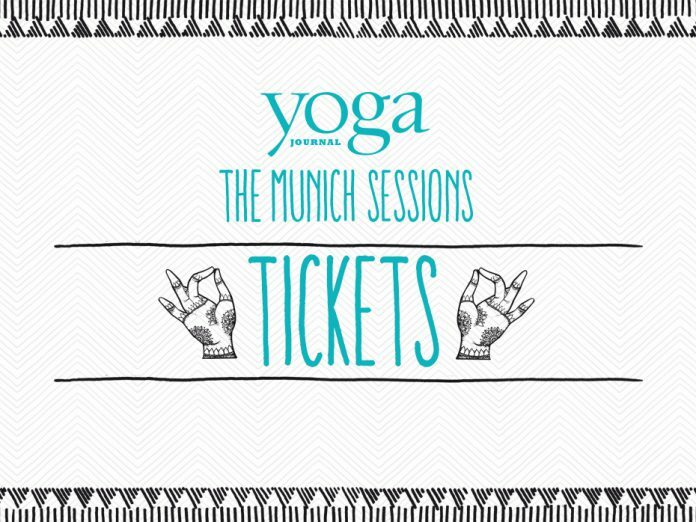 If you are a group of twelve people or more please contact us directly via munichsessions@yogajournal.de and get your individual group ticket. Please note: Tickets marked with an asterisk(*) include priority access to all yoga classes and workshops at the Munich Sessions. By the way: You can book your train or plane ticket to Munich and your accommodation in Munich at a preferential rate with our partner Yogatravel.de. Click here for more information and the application form.